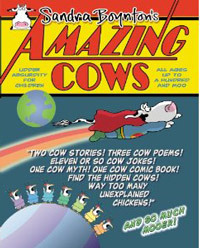 Today is Cow Appreciation Day at Chick-fil-A! 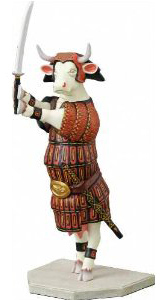 I’d like to remind everyone that today is Cow Appreciation Day at Chick-fil-A. How do I know? Because the restaurant chain’s marketing director stopped by my blog earlier this week and sent me a message to remind me of this very important date. How cool is that? 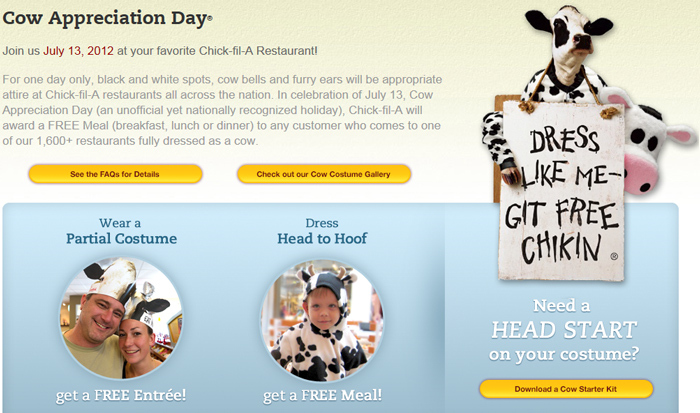 Remember that if you dress as a cow or wear some type of cow costume or prop, you’ll get a free meal. Who said there’s no such thing as free lunch? Save the cows, eat more chikin! Previous Post It’s a Milka chocolate surprise! I was planning to go but ended up taking one of my kids to a doctor’s appt, so we’ll have to wait until next year to try it. I doubt any of us will dress as cows though, but you never know!